With spring around the corner I have bulbs, blooms and seeds on my mind! I’ve been puttering in the Potting Shed, enjoying some tabletop gardening and have a fun project to help you bide your time until spring planting season~ growing a Vintage Seed Box! I have three vintage seed boxes from my retail days, found at flea markets 20+ years ago~ a Ferry’s Seeds Box, I use for a seasonal planter; a Mandeville & King Co. Superior Flower Seeds Box; and a Reliable Seeds Box that holds my Staffordshire Bouquet. You can find vintage and authentic seed boxes on eBay and antique malls, but they are harder to come by these days with prices ranging from $100 to $300 or more, depending on condition of the graphics. The inspiration for making a vintage seed box came from Debra at Common Ground. 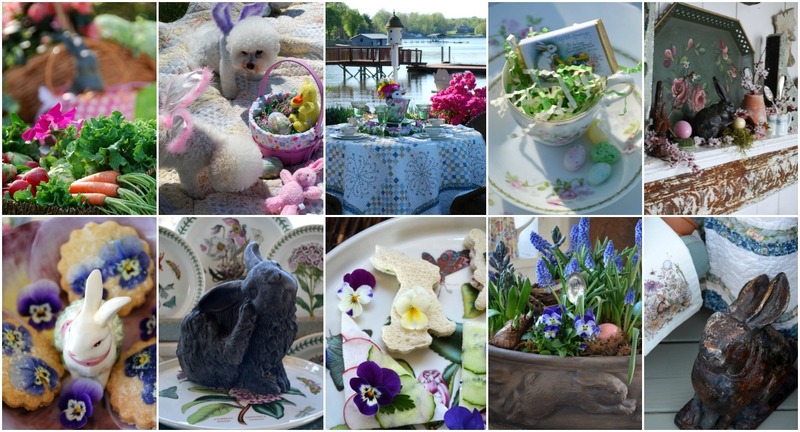 I share her love for all things vintage garden and pinned her project when I saw it a couple of years ago. You can see how she transformed her boxes, here. I have been on the look out for a wood box and found one recently one at an antique mall. It was in a sad state but the $15 price tag made it a prime candidate for this project. The box was battered and in need of some TLC. I cleaned it first and then gave it a couple of coats of Danish oil, I picked up at Lowe’s to cover some of the scars and warm up the finish. I found vintage seed graphics available from the Smithsonian Institution Libraries Digital Collection. The graphics and content there have no copyright restrictions and available for download for personal, educational and other non-commercial purposes. You can find the Smithsonian Institution Libraries catalog collection and 500 images, here. 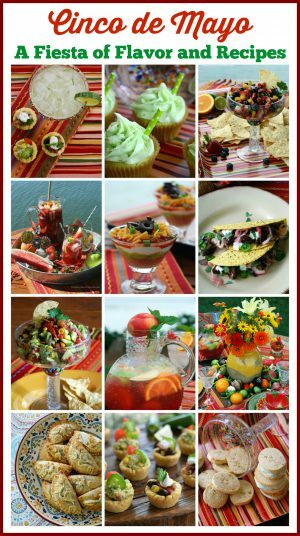 Search by cover art image~ flowers, fruit, vegetables, or catalog name. I used Mod Podge to adhere the graphic to my box. I have an Inkjet printer, so I gave the covers a couple of light coats of clear acrylic sealer and let them dry, to prevent the water-based ink from running when I applied the Mod Podge. To cover the whole inside of the lid of the box, I used a couple of pieces of scrapbook paper I picked up at the craft store for less than a $1.00 to span the width of the box and centered the graphic in the middle. Everything was given a couple of coats of Mod Podge. My vintage Seed Box is planted on the counter of my Potting Shed along with some other vintage goodies. . .
Old tools~ garden forks and trowels, flower frogs. . .
And old garden encyclopedia and stamped spoon garden marker. . .
Vintage farmer’s almanacs and seed catalogs. . . Along with some pieces of transferware and an old scale. Hen and chicks are nesting in this boot planter that flew home with me from HomeGoods last year. And potted hyacinth bulbs are growing with the promise of spring! Since the top of the box was not too pretty, I added an additional graphic to the top of the lid with Mod Podge. After a couple of coats, I applied a some Plaid FolkArt Antique Medium around the edges as well as along the inside lip of the box. I wiped it off with a damp paper towel to add some additional age. There are a couple of wrinkles on the label and around the edges but they lend some age and give a little feeling of wear to graphic, similar to my authentic vintage seed boxes. I may take a little sand paper to the paper for some tattered wear to add some authenticity. Growing a vintage seed box is a fun tabletop gardening project! I’m on the look out for another box to plant some veggie seeds labels! 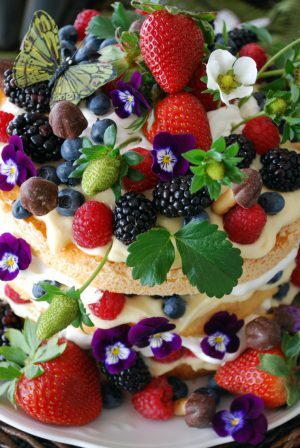 ← Easter’s On Its Way: A Round-Up of Recipes and Table Inspiration! As always, you continue to delight us with all your wonderful projects and photos! Especially loved his one, being a big gardener myself. Thanks again! So very, very cool. I love old boxes, always have. The marks of age and wear only add to the beauty. Thanks for this idea, we need the step by step method to give us the confidence to even attempt this. Love the inspiration and instructions! Thank you for sharing! I adore your garden shed ideas! Now didn’t your seed box make a wonderful transformation with your magical touch, Mary? It looks perfectly happy in your potting shed. Your darling boot planter looks so cute with the succulents popping out of the top. Thanks for the inspiration, Mary! I love your breath of spring! The entire counter is just perfection in all the details. That’s perfect. I remember Debra’s project also. I have one of the Ferry seed boxes like yours, but that $15 box sure makes doing your own look worthwhile. Great job, and I love your shed. I am thoroughly inspired! and what a good tip about sealing inkjet printed items. But what do you seal them with? I have wondered how to work with those and mod podge before. Sweet! I love this and you did such a beautiful job. Mary, I have embraced gardening over the last 3 or 4 years! I can’t wait to plant in my garden!! Thanks for the inspiration and instruction! How does your garden grow?! :) So pretty , I love how you decorated this old wooden box with all the vintage garden items !! And did I see some green grass ?!!?!! jealous ! hopefully soon we will see that here in the north ! I know you were so excited to find that box. You did a great job decorating it. Love your vignettes. I love your seed box. I have passed by some at antique stores and not bought due to price, but wish I had purchased one . I do have many vintage seed packets though and lucked into some early 1910 and 1920 ones which I treasure. I also bought an original seed catalog cover from the turn of the last century which I framed and have in my potting shed. I love vintage garden everything like you! Isn’t ModPodge just the greatest! I love your project, and it’s perfect for your adorable little shed. Oh this is so cute! I didn’t know there were such things a “seed boxes” I love the vintage paper you added to it- perfect! All the cute pieces you put in the box make it a treasure. It turned out great Mary! Thanks for the link and the tip about sealing the printed graphics before using Mod Podge. 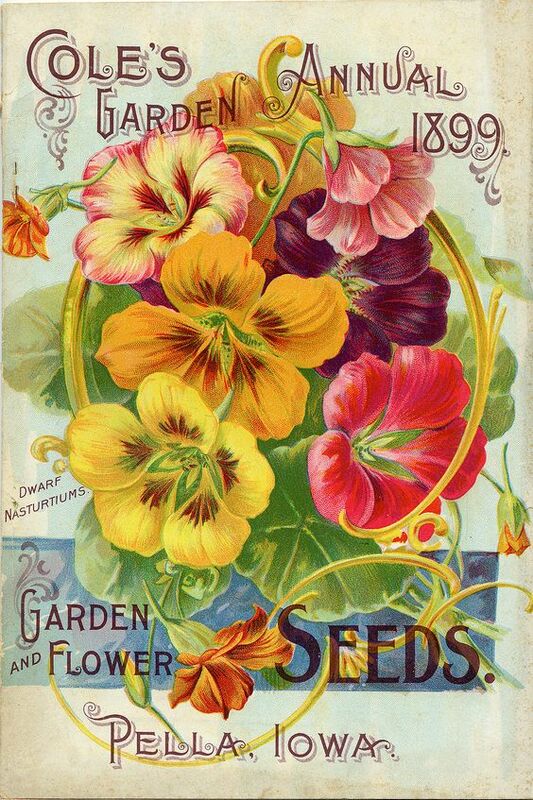 I was looking at seed packets the other day, they are always so cute, especially your vintage ones. All your vintage gardening treasures look so happy, they must sense that spring is coming! Hi Mary, I LOVED this post, that box is amazing! thanks so much for the shout out, I need to get mine out and loaded up with goodies. Always love seeing your vintage garden goodies! Can you see me kicking myself for pitching my old wooden box last year??? Dang it!! Yours looks amazing, Mary. Now I’ll have to start hunting for another one. You are SEW talented!! This is fabulous! I never would have thought of this! I so wish I could have a potting shed. I really do live vicariously through you in yors. Love this project and thanks for the step by step! Your creativity is amazing. Have a BEAUTIFUL weekend. I have been MIA cause we had a week of gorgeous weather and the past 2 days in the 80’s! Back to lesser temps but still in the 60’s! Precious! I think your box is awesome. I have always loved wooden boxes but this is a really neat idea. Thank you for the link to the Smithsonian. I love all vintage and especially garden things. Tomorrow it will be in the 60’s and for MI in March that is totally wonderful! I’ll be outside for sure. Happy weekend! Your seed box is amazing! I live in Shaker territory and it reminds me of their seed boxes. We’d love it if you would share this post with our readers at Vintage Charm. We go live Thursdays at 8 am. Hope to see you there! 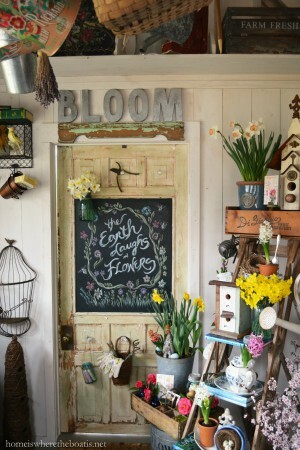 Surely a piece of heaven…..your potting shed!! 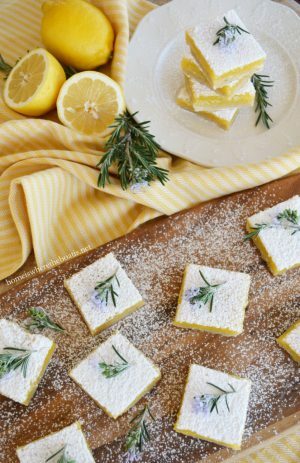 Love your transformation, this is a great way to re-purpose! I have looked in the past at antique seed holders, this will be as close to having one. Thank you for the link to the website which I never knew, this will be a get link. Love your blog…always find something to love. Mary, Do you have any pictures from your retail days? If so, we would all love to see them or tell us more about your retail days.